Palmerston Association acknowledges that we live and work on Nyoongar country. We pay our respects to Nyoongar Elders past and present, acknowledging them as the holders of wisdom and culture. We extend our respect to all Elders and Aboriginal and Torres Strait Islander people, acknowledging all their diversity across Australia. Palmerston’s commitment to be a culturally secure service is an ongoing one led by the CEO and the Board. Our progress includes learning to understand a Nyoongar worldview, accepting the imperative that the organisation must change, engaging with local Elders as advisors, employing a strong Aboriginal workforce and cultural training for all Palmerston staff. 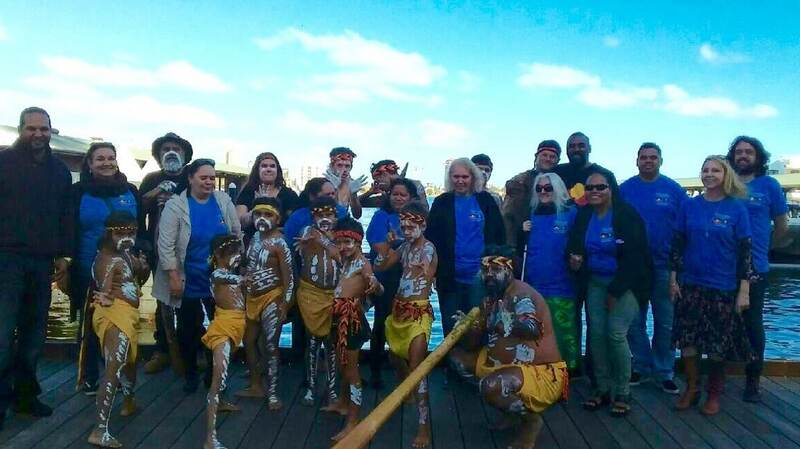 Through our involvement with the Looking Forward Project, Palmerston leaders have been working alongside Nyoongar Elders in the interests of strong Aboriginal and Torres Strait Islander people, families and communities. We honour and thank the Elders who have generously given their support, guidance, enthusiasm and wisdom. Aboriginal and Torres Strait Islander people are welcome at all our services. Some locations have programs run by and specifically for Aboriginal people. We have Aboriginal staff at each branch and court diversion services provided by Aboriginal staff at Fremantle, Rockingham, Mandurah and Armadale courts. Palmerston Farm residential rehab is situated on Nyoongar Whudjuk land. Our Kwinana Elders have advised that the land was once traditional hunting grounds and does not have any traditional sites such as men’s or women’s business. Our Reconciliation Action Plan sets an ambitious plan for reconciliation. The plan provides for responsibility at all levels of the organisation to share in the reconciliation agenda and further development of cultural security. A RAP working party has been formed to monitor the implementation of the RAP and track its progress. It is acknowledged that there are different ways of spelling the word Nyoongar and we recognise that Noongar is preferred in the Great Southern. The spelling used in this website (Nyoongar) is in accordance with the advice received from the local Elders associated with the Looking Forward Project, unless referring to Aboriginal people or events in the Great Southern in which case Noongar is used.